NABS provides interpreters for Deaf, Deafblind and hard of hearing people and their families who use sign language to communicate and would like an interpreter for private health care appointments. The service is free for people who are not eligible for NDIS (National Disability Insurance Scheme) and private health care practitioners. As a health care provider, you can book an interpreter for any patient who uses Sign Language to communicate. It's easy to book an interpreter with NABS. All interpreting services to Aboriginal and Torres Strait Islander Sign Language users are provided for both public and private health care appointments. NABS only employs interpreters who have current NAATI qualifications. 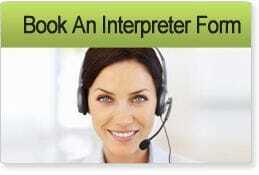 NABS interpreters will have some experience interpreting in health care situations. Parents and Carers can book an interpreter for private medical and health care appointments for their children aged 0 to 18 years old.